Carbon’s defense dominated through three quarters and the offense took over in the fourth as Carbon took down region foe Juab 54-41 Wednesday on the road. Tanner Gagnon led all scorers with 24 points. Dakota Cisneros added 13 points for the Dinos. Carbon held Juab to single digit points in each of the first three quarters to take a 13-point lead into the fourth quarter. Both teams saw an offensive surge in the fourth, but Carbon’s margin was never in doubt. Carbon improved to 9-4 overall and 2-1 in Region 12 play. 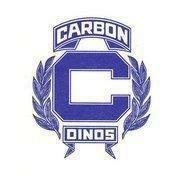 Carbon next hosts North Sanpete on Friday at 7 p.m. The game will be broadcast live on ETV Channel 10. Brayden Kaae led Juab with 23 points.